Bücher aus und über Frankfurt. Books from and about Frankfurt. The perfect companion for new arrivals (BREXITeers) and long-time fans. in the English Theatre in JAMES THE BAR. The entrance is free. More information at www.english-theatre.de. Available since January 14th, 2019. 210 pages, € 18,90. ISBN 978-3000616198, available from bookshops, Amazon, or directly via our order form. Frankfurt for Beginners – The English Edition! The perfect companion for new arrivals and Frankfurt fans. Frankfurt is more love at second sight. People come to Frankfurt either by chance or because of a job. So things start rather unromantically. 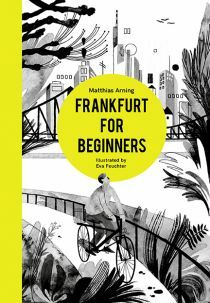 Frankfurt for Beginners is the ideal way to feel your way into the German city where life is best, the perfect companion for new arrivals in the city, for firm lovers of Frankfurt, and for those about to fall in love with the city. Available from Monday, January 14th, 2019. 210 pages, € 18,90. ISBN 978-3000616198, available from bookshops or directly via our order form. Lieferbar ab Montag, 14. Januar 2019. 210 Seiten, € 18,90. Erhältlich im Buchhandel oder direkt über unser Bestellformular. The perfect companion for new arrivals and fans. Why Frankfurt of all places? A few decades ago it prompted nothing but misgivings: To the rest of Germany, this city at the very heart of the country seemed highly suspect. No one would willingly go to this hotbed of banks, murders and killings, the country’s crime capital. A lot has changed since then. People are crowding into Frankfurt. The city is experiencing a baby-boom; it has rediscovered its riverbanks and has just finished building a new old town. “Frankfurt for Beginners” is no guidebook. Rather, it is a helping hand for those still finding their feet, and new and aspiring citizens of Frankfurt. It is a declaration of love for a city and a guide for gradually getting to the heart of precisely what Frankfurt actually is and why it’s worth the trip. Available from Monday, January 14th, 2019. Written by Matthias Arning, illustrated by Eva Feuchter. Der Stadt in der Mitte der Republik. Matthias Arning ist im Ruhrgebiet aufgewachsen, kam in jungen Jahren an den Main und hat Frankfurt lieben gelernt. Er mag Uwe Johnson und Philipp Roth, schwärmt von der Besichtigung des 19. Jahrhunderts bei Jürgen Osterhammel und hat ein Faible für Futur Zwei von Harald Welzer. Er hat Politische Wissenschaft in Frankfurt und Berlin bei Herfried Münkler und Iring Fetscher studiert. Als politischer Redakteur bei der „Frankfurter Rundschau“ widmete er sich vor allem zeithistorischen Themen, als Lokalchef der Zukunft der Metropole am Main. Danach beriet er Petra Roth als Frankfurter Oberbürgermeisterin. Zu seinen Büchern gehören „Späte Abrechnung“ über die Entschädigung der NS-Zwangsarbeiter (Fischer-Verlag) und „Aufstand der Städte“ (Westend), gemeinsam mit Petra Roth. 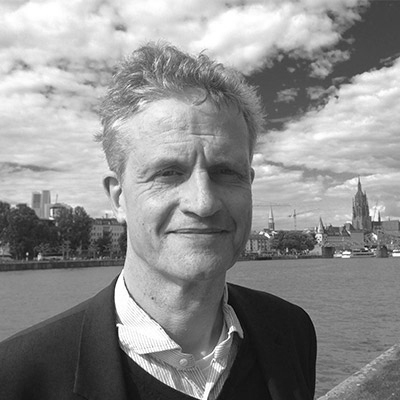 Matthias Arning lebt mit seiner Familie in Frankfurt am Main. Demnächst erscheint in der Edition „Frankfurter Ansichten“ das Buch „Frankfurt für Anfänger“.